HB Roswell Realty offers its customers practical advice on home pricing strategies based on recent comparable sales, as well as the the homeowner’s particular goals. BROKER of HB Roswell Realty today. Why Sell with a Realtor? 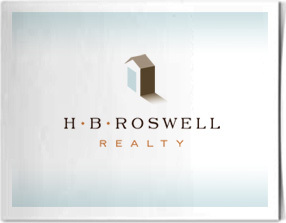 And why HB Roswell Realty? HB Roswell Realty would like to tell you a little secret. Real estate is not rocket science. You can sell your home as well as any realtor if you . . . .
At HB Roswell Realty, we believe that selling a home is Marketing 101. That means a realtor needs to understand the profile of the potential buyer, create as much targeted exposure as possible, be available to show the property as often as possible and maximize each showing by having the home be as presentable as possible. All of our agents sign our pledge. Staff of specialized professionals for each step of the process -- from marketing to contracts, inspections, lending and closing -- to ensure that knowledgeable people who also have the time to dedicate to make things right.